I have a true passion for fishing. Anybody that knows me can vouch for that. It doesn’t matter the species, I just love to fish. I grew up on the banks of the Tennessee River. My passion for fishing started at a very early age with my dad taking me fishing on Saturday mornings in his fourteen-foot jon boat. We would set out to our bluegill hole with two ultralight spinning poles and two tubes of crickets and fished all day or until we had more fish than we wanted to clean. I still enjoy going to that bluegill hole some 25 years later. I bought my first boat the year I graduated from high school — a brand spanking new aluminum Triton boat. Soon I had the opportunity to start helping a local guide part time when I wasn’t working my regular job. This week, Kentucky Lake has reached its highest level since 2011. As the whole Tennessee River Valley has received record amounts of rain. The Kentucky Lake portion of the River crested at 367 feet on March 3rd. 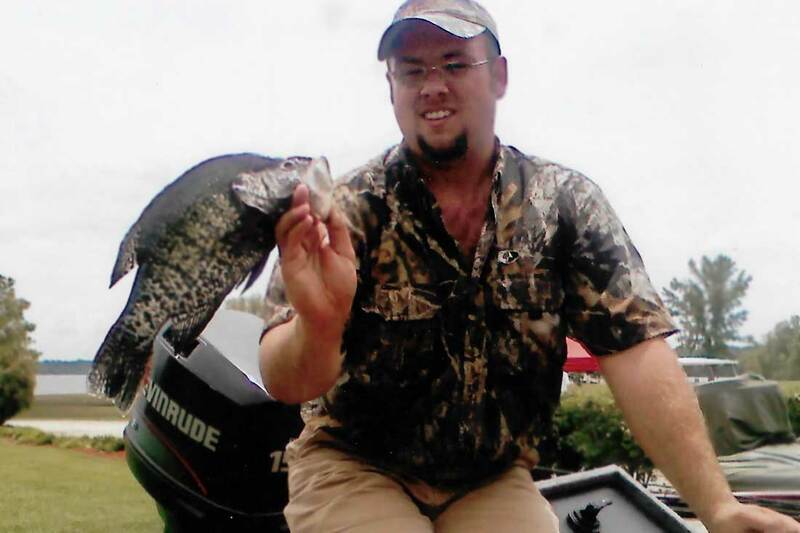 There hasn’t been very many crappie fishermen out and about as the current from the river and high lake levels have the fish scattered. I did fish a couple of days last week with good success in the backs of bays where the water wasn’t as muddy. 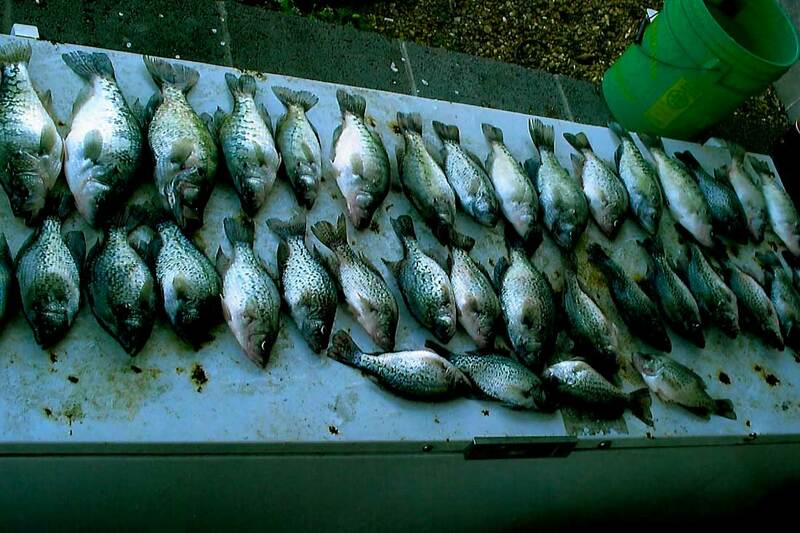 The fish were in 10-15 feet of water suspended in 3-6 feet, down where shad were present. Popular colors were junebug/chartreuse, yellow/chartreuse, and red/chartreuse. 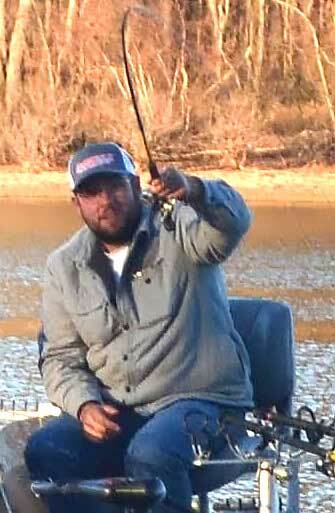 We have a major cold front coming in this weekend which I think will push the fish back out to deeper water. I have heard some reports from the bass fishing scene that were positive. Most reported that they were targeting shallow cover in the backs of bays, as the fish were following rising water levels. Some were having luck with spinnerbaits, but most popular seemed to be a jig with craw type trailer. 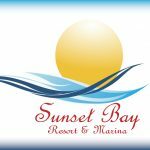 Sunset Bay Resort & Marina has everything you could want in a family friendly resort. 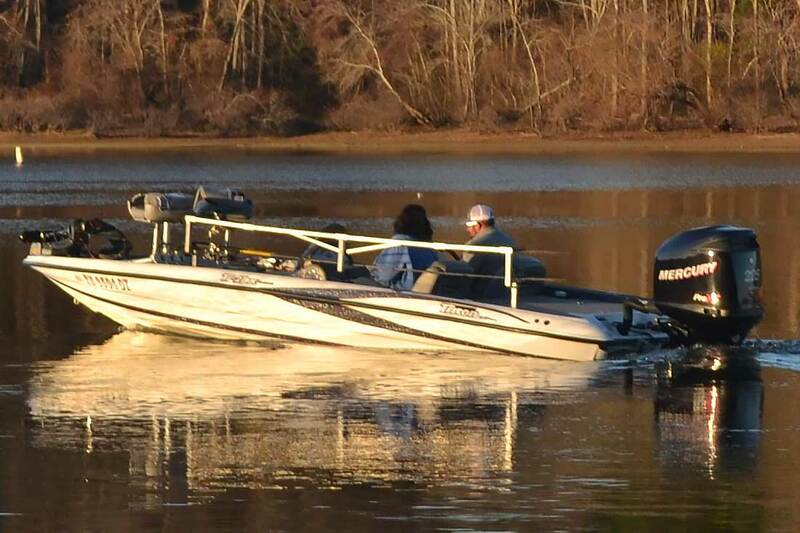 Cabin rentals, boat rentals, bait, and tackle. 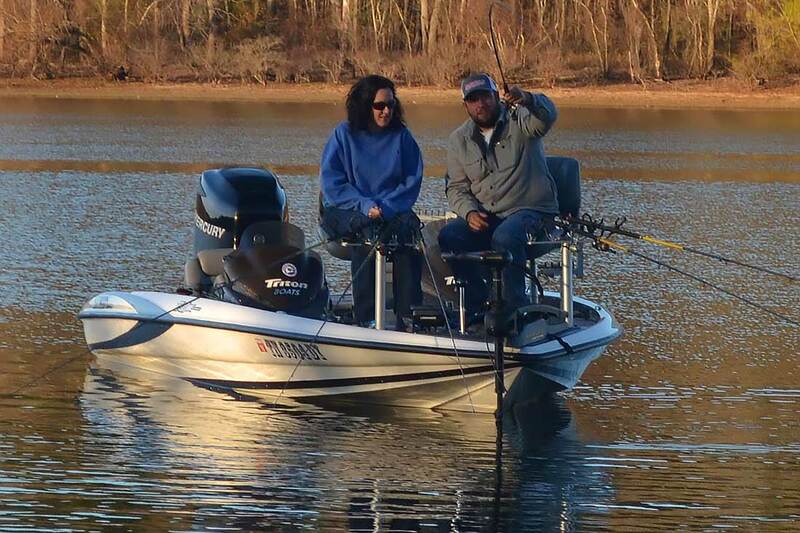 The staff will go above and beyond to make sure you enjoy your time here on beautiful Kentucky Lake.